Santa Claus has announced his retirement. 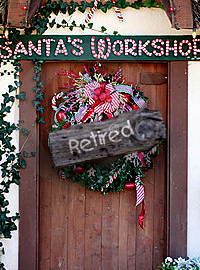 NORTH POLE – After a year in which there was only one “nice” child, Santa Claus says he will officially retire. According to Claus, the number of “nice” children has dropped sharply in the past several years. Last year only 20 children were listed as “nice” on Claus’ list. The only child on Claus’ nice list, Cindy Lou Who, is “sad” that Claus is retiring but said she understands. Few have been surprised by Claus’ retirement announcement. Claus said he doesn’t have any immediate plans now that he is retired but he said he hopes to visit Italy since he’s never been.